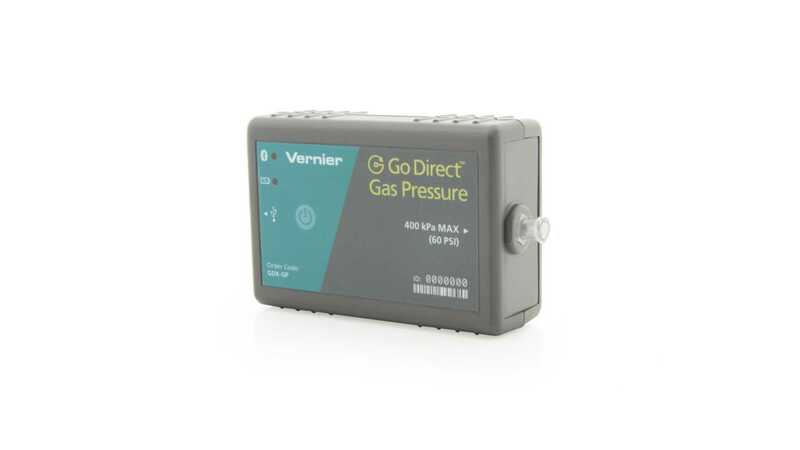 The Go Direct Gas Pressure Sensor measures the absolute pressure of a gas. 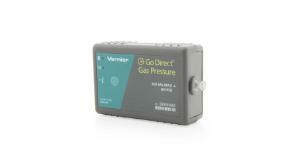 Use Go Direct Gas Pressure Sensor to monitor gas pressure in a variety of experiments. It records accurate absolute pressure readings relative to the perfect vacuum reference point inside the sensor, allowing you to go below atmospheric pressure or up to 400 kPa. Easily change the displayed units to any one of seven options (kPa, mmHg, inHg, mbar, psi, atm, torr). Includes a syringe, tubing, and stoppers to ease setup for experiments such as Boyle’s law. Our Go Direct™ Gas Pressure Sensor connects directly to your mobile device, Chromebook, or computer using our free Graphical Analysis™ 4 app—no additional equipment or software purchases are necessary. Go Direct sensors can be used wired via USB or wirelessly via Bluetooth, allowing you to choose the solution best for your classroom or laboratory.